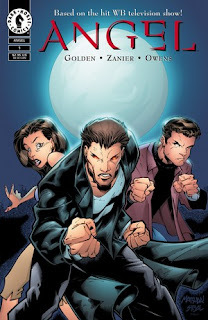 Buffyfest: Reminder: Sale on 'Angel' digi-comics this weekend! Reminder: Sale on 'Angel' digi-comics this weekend! Saaaale! This weekend, Dark Horse is offering the entirety of their Angel comic digital library for a mere .99 per issue! Visit their site or download on their mobile app for iTunes or Android Market.